Online Registration for Mountlake Terrace 5K Fun Run / Walk event! The seventh annual Mountlake Terrace 5K Fun Run/Walk is a wonderful family, small town event with a purpose. Hosted by Cedar Way Elementary Parent Teacher Organization (CWE PTO) and in partnership with the Tour de Terrace, this benefit run has raised thousands of dollars for students of Mountlake Terrace elementary schools. We welcome all who enjoy a good run/walk, with others in the community who support local schools. Course is an out and back 5K starting and ending at the Mountlake Terrace High School, winding through the local neighborhoods and a woodsy trail in Terrace Creek Park. Terrain is good for the young, families with jogging strollers, old and even the competitive (who get to start first). Race shirts are available for anyone who registers through July 10th. There *may* be some t-shirts day prior but supplies typically run out! For those who would prefer to help and cheer instead of run - please consider volunteering! 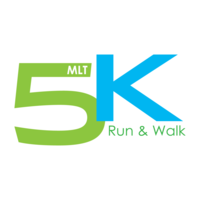 Sign-up by emailing mltfunrun@cedarwaypto.org. Parking is easily available in the high school parking lot. Race will start from the high school entrance road promptly at 8:30am. There will be water/light snacks provided.